'Over the last few years, I have composed music for many literary concerts, where writers tell their story live and I create a musical scenario based on the story. I then arranged some of these compositions for the band and took them with me to the studio. All the notes were new to the musicians. Although we had only two days to record everything, I felt certain this would not be an issue, since the band is such a close-knit group. Plus, something special often happens when musicians are still exploring material. And you can hear it, too. The result is a mysterious album featuring layered, richly resonant pieces in which the musicians take turns telling their own musical story.' 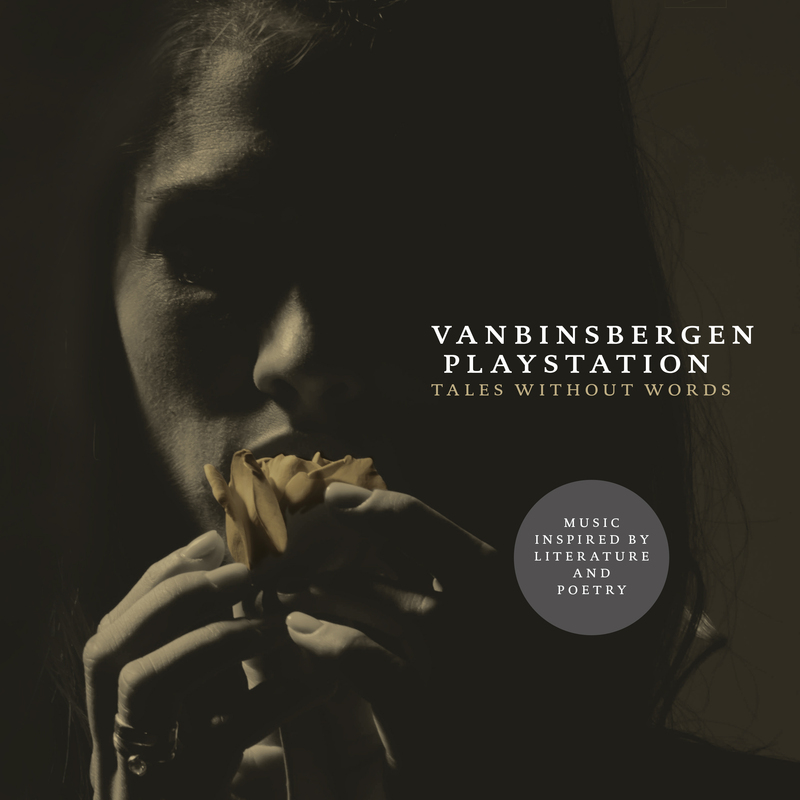 (Corrie van Binsbergen) All compositions on this release were originally composed for stories and poems by famous Dutch writers and guitarist Corrie van Binsbergen. She later arranged her compositions for her 'all-star' band VanBinsbergen Playstation. "The heterogeneous approach makes the music as a whole varied and exciting"
"A wide range of music. Ranging from beautiful fine tunes that's worked out quite nicely, an uptempo jazz piece for a immersive solo guitar, to modern classical pieces." "(...) Small, carefully played stories, in which it is the finest details that hold you as a listener like an exciting book can do that to a reader. Nice! (...)"
""" (...) 'Tales Without Words' can definetly be called succesfull (...) ""
"" (...) A conceptalbum that attracts from the beginning to the end, maybe the best Van Binsbergen album so far (...) ""
"Jazz with a touch of humor, lyrical lines, music where you can completely sink into."